On the first of May, Mollier will organise the annual Cocktail Party! 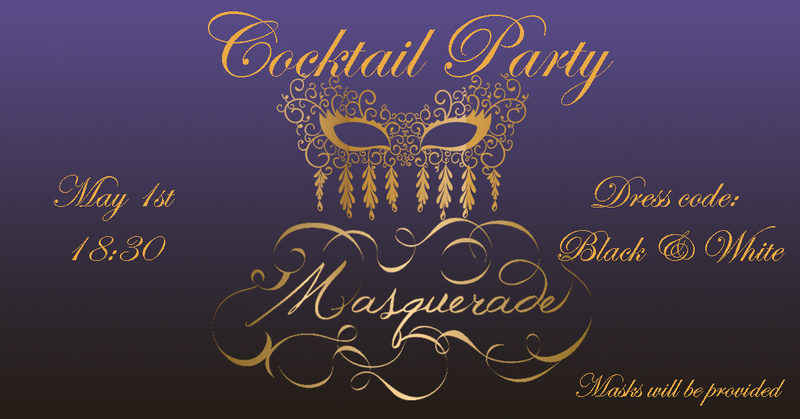 No need for fancy make up and fake eyelashes because this year’s theme will be ‘Masquerade’ (don’t worry, Mollier will provide you with a mask). The party will start around 18:30 from when you will taste some fabulous cocktails. The fee for Mollier members is €5 or 5 activity points. Old members of Mollier and members of Schoone Leij can also join this great experience for just €10,-. They can sign up by sending an e-mail to activities@mollier.nl.